Zucchini Salad: Wash and dry zucchini. Using a mandolin set to it’s thinnest setting, carefully shave the zucchini into thin, long ribbons. If you do not have a mandolin, use a vegetable peeler. Make them as thin as possible. Whisk the remaining oil, garlic, lemon zest, juice, salt and pepper in a small bowl and toss the zucchini gently by hand in the bowl. Grill the chicken over direct heat until lightly charred and the chicken registers 160 degree (about 2-3 minutes per side). 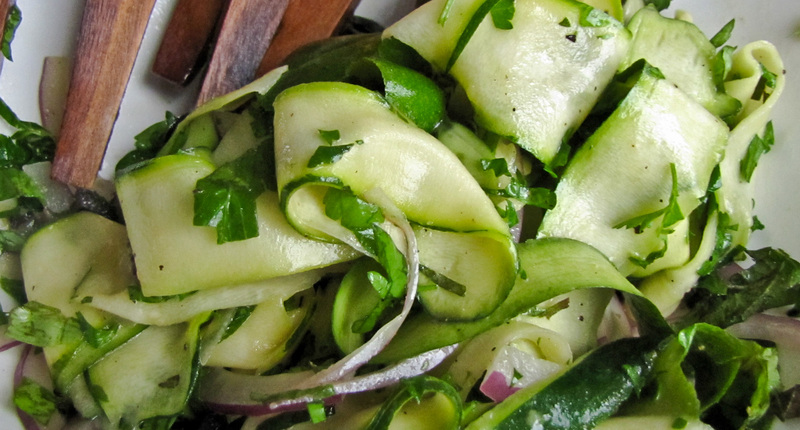 On each plate, serve the zucchini salad topped with 1oz. of cheese and one chicken cutlet. 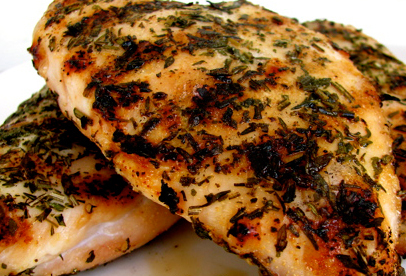 This entry was posted in Chicken, Entrees, Vegetables and tagged Chicken, grill, grilled chicken, herbed chicken, metabolic diet recipes, zucchini by foodies4mmc. Bookmark the permalink.